Free fair highlights the healing power of sleep, laughter and strengthening mind and body. Wesley Wellness Day, presented by Wesley Homes Retirement Communities and Home Health Services, will showcase health and wellbeing professionals on the Des Moines campus on Thursday, May 8 from 1:00-4:00 p.m. RSVP online at wesleyhomes.org or call toll free 855-445-8827. 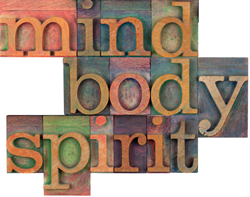 Focusing on the mind, body and spirit, Wesley Wellness Day will address the health benefits of sleep, laughter and physical activity with Dr. Morris B. Chang; Sharon McIntyre, ACC, Certified Laughter Leader; and Dr. Harry Papadopoulos. Dr. Chang, medical director of Highline Sleep Center in Burien, will talk about common sleep problems and how to solve them to get a better night’s rest. Sleep medicine is a growing field focused on the study, diagnosis and treatment of sleep-related disorders such as insomnia, sleep apnea and restless leg syndrome. McIntyre will disclose how we can relieve stress in life by making laughter a habit in our daily wellness routine. A professional facilitator, event planner and speaker, McIntyre’s mission is to empower people to live life to the fullest. Dr. Papadopoulos, an associate professor of Exercise Science at Pacific Lutheran University, a certified Health and Fitness Instructor by the American College of Sports Medicine and a frequent columnist for Wesley Homes, will show how a few simple exercises done at home can strengthen muscles for better balance, stamina and injury prevention. Attendees will be able to explore additional areas of wellness at the onsite vendor fair, where they can receive a free blood pressure check from Wesley Homes Home Health, chair massage, fall risk assessment from Pacific Lutheran University students and more. American Hearing Aid Center and Super Supplements will also be on hand as well as representatives from Wesley Homes’ television station and Brain Fit classes. Wesley Wellness Day is a free event. In addition to the many giveaways, the first 20 people to RSVP and attend will receive a $25 gift card for Amazon.com. Founded in 1944, Wesley Homes is a not-for-profit organization that provides a network of services offering a continuum of care for over 1,800 older adults with two retirement communities in south King County, a private pay home care agency and a Medicare-certified home health agency. It is affiliated with the Pacific Northwest Annual Conference of the United Methodist Church.